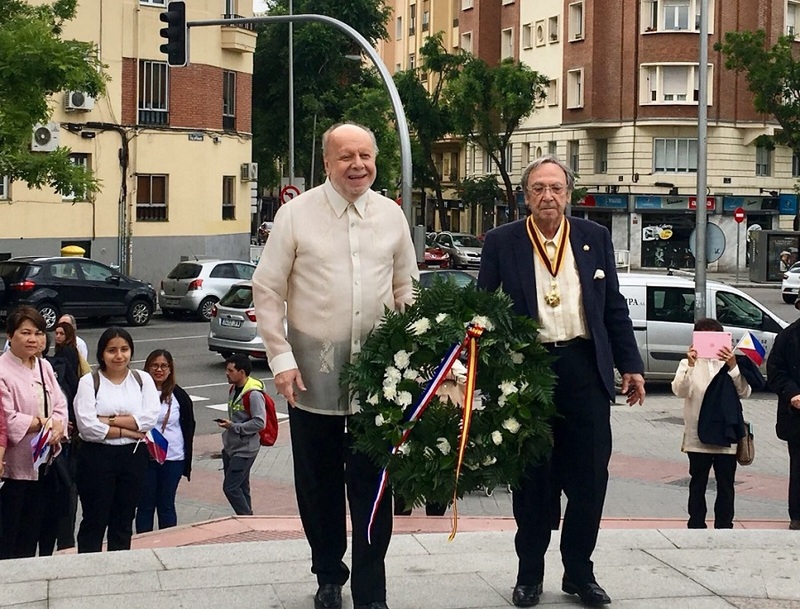 In celebration of the 157th Birth Anniversary of Jose Rizal, the Philippine Embassy in Madrid, in collaboration with the Knights of Rizal-La Solidaridad Chapter, held a wreath-laying ceremony on 10 June 2018 at the hero’s monument in Madrid at the corner of Calle Santander and Avenida de Filipinas led by Ambassador Philippe Lhuillier and the Commander of the Knights of Rizal Mr. Federico Sanchez Aguilar. 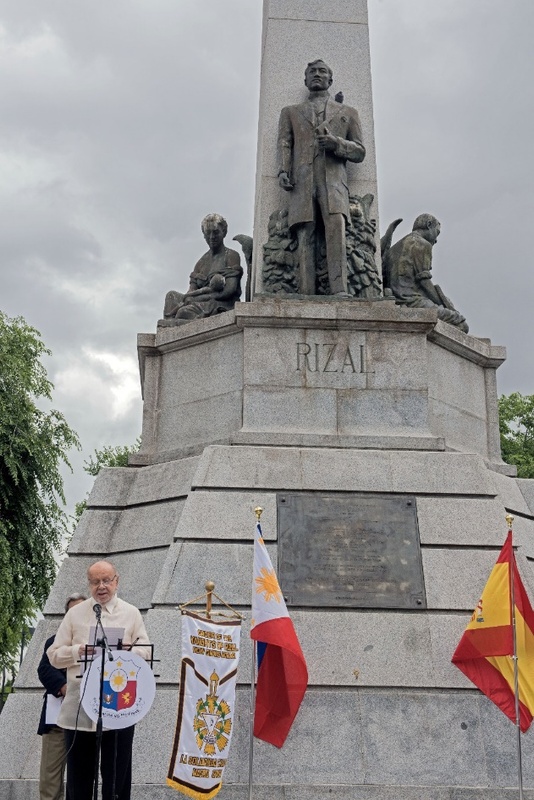 A reading of Rizal’s poems A La Juventud Filipina –in honor of the younger members of the Filipino Community—and Mi Ultimo Adios was done by Elias Rodriguez Varela, a prominent Spanish radio presenter and voice actor. Continuing with the theme of honoring the youth, the Ambassador cited the role of Rizal’s family and friends in raising a young Rizal to be an extraordinary citizen who responded to the needs of his countrymen and inspired a revolution. Rizal was born on 19 June 1861 in Laguna. He later traveled throughout Europe and lived in Madrid to study at the Universidad Complutense de Madrid, then called Universidad Central de Madrid. 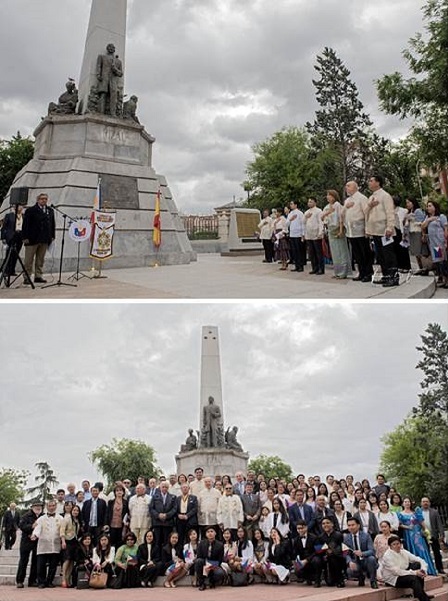 The Rizal monument in Madrid is a replica of the one in Luneta Park and is one of the main attractions for Filipino tourists in Spain.